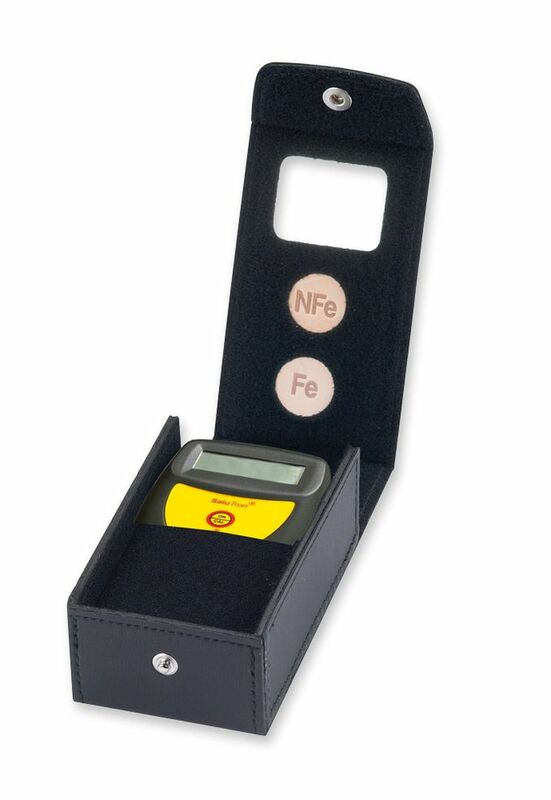 ComBi D1000® is a combined measuring instrument for non-destructive measurements of coatings on iron/steel and nonferrous metals. This practical instrument with integrated measuring sensor and easy single button operation offers measured results with high precision. 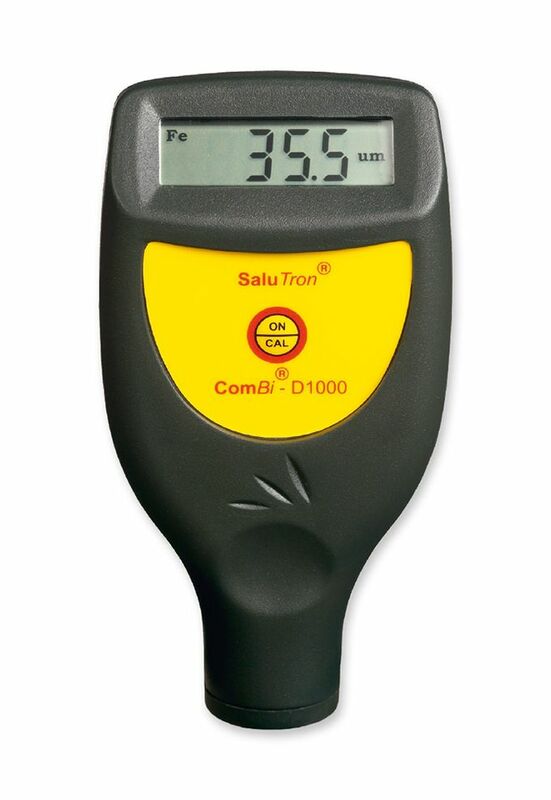 Thanks to its attractive price it has become a cost-effective help for control measurements in production areas, workshops and for quality assurance, in particular, for bodywork and painting plants, painters and house painters, but also for experts and test organisations in the motor vehicle trade. ComBi D1000® is suitable for measurements of non-magnetic coats, such as paints, plastics, chrome, copper, zinc, enamel, etc. on steel and iron and of all insulating coats such as paints, plastics, enamel, paper, glass, rubber, etc. on copper, aluminium, brass, and high-grade steel as well as anodising on aluminium. the practical V-groove on the measuring head makes measuring easier on round parts, such as axles, bars, etc.